Recently I noticed that my Wireless Logitech Wave Keyboard was beginning to sound a bit loud and that some of the keys were starting to stick. 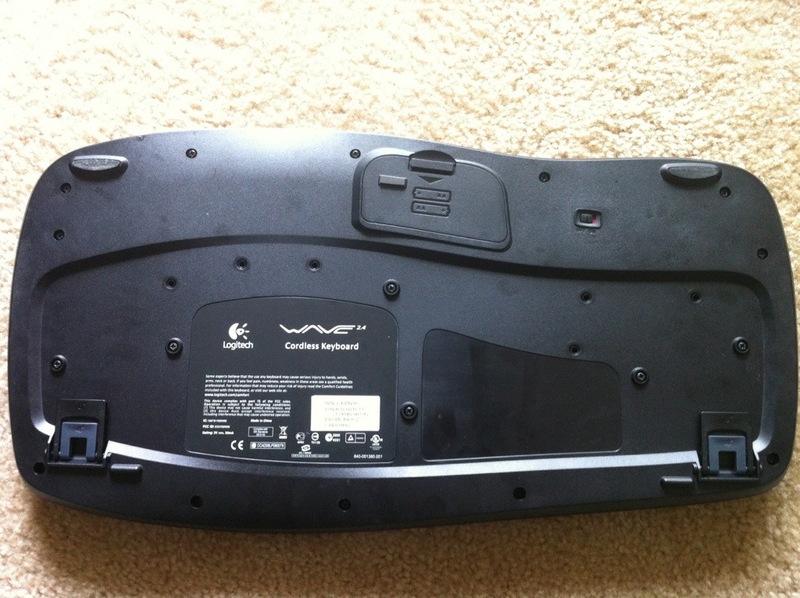 I’ve had my Wave Keyboard for about three years now. In hopes of avoiding replacing it, I figured a good cleaning might solve the issue and what better way to clean something than the dishwasher. 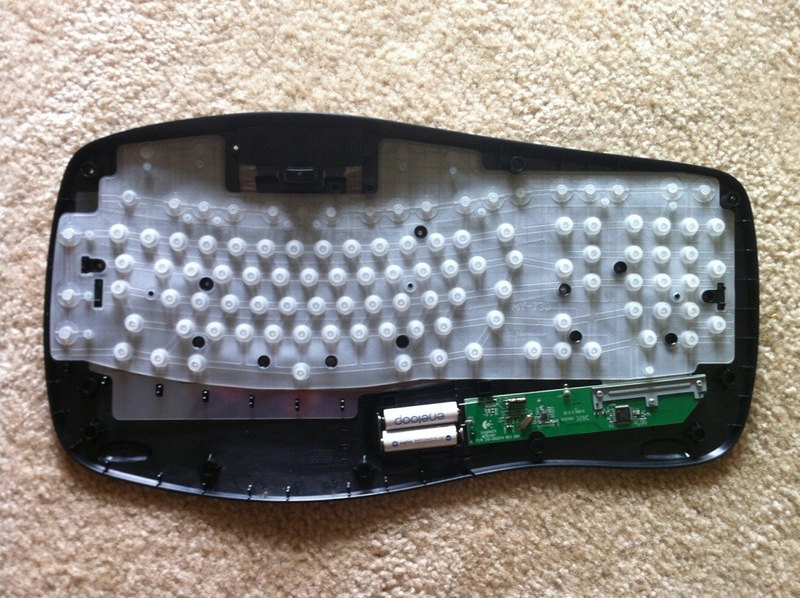 Overall, keyboards are very simple devices. First thing I did was turn off the keyboard and remove all the black screws from the back in order to separate the two halves. This proved quite easy and simple. I noticed some silver screws on the inside of the keyboard holding the palm rest in place and figured I would separate that as well. I placed only the side of the keyboard with the keys facing down on the bottom rack of my dishwasher with the palm rest along side of it. I did not put in the side that had the rubber membrane and circuit board. From my inspection, the issue was not with the membrane and figured a simple wipe down of the rubber with a damp cloth would suffice for that side. I added some dishwasher detergent, set it to a “Normal Cycle”, closed the hatch and crossed my fingers. I did not use the heat dry function of the dishwasher. 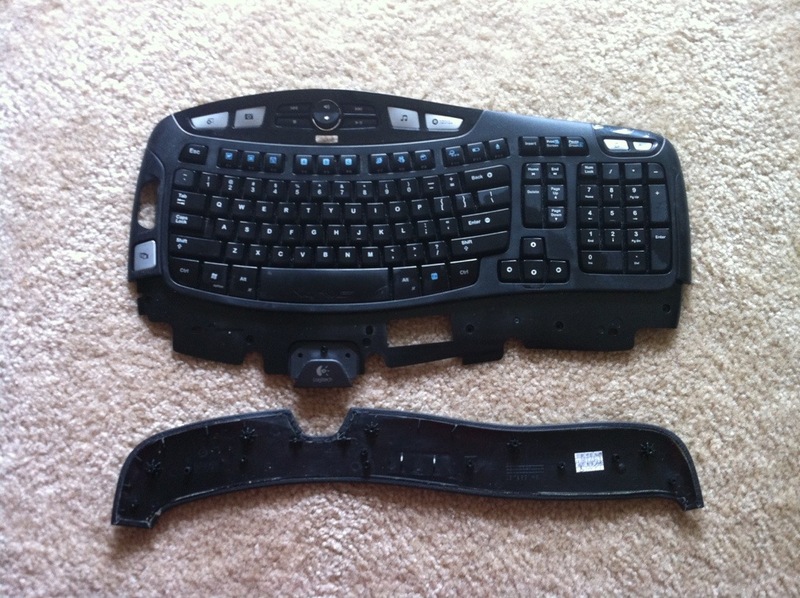 Once it was done, I took out the keyboard components and all seemed okay. No keys had popped off and the letters on them were still visible. I used a blow dryer to speed up the drying time but still let the keyboard lay out on my desk for a couple of hours to air dry. 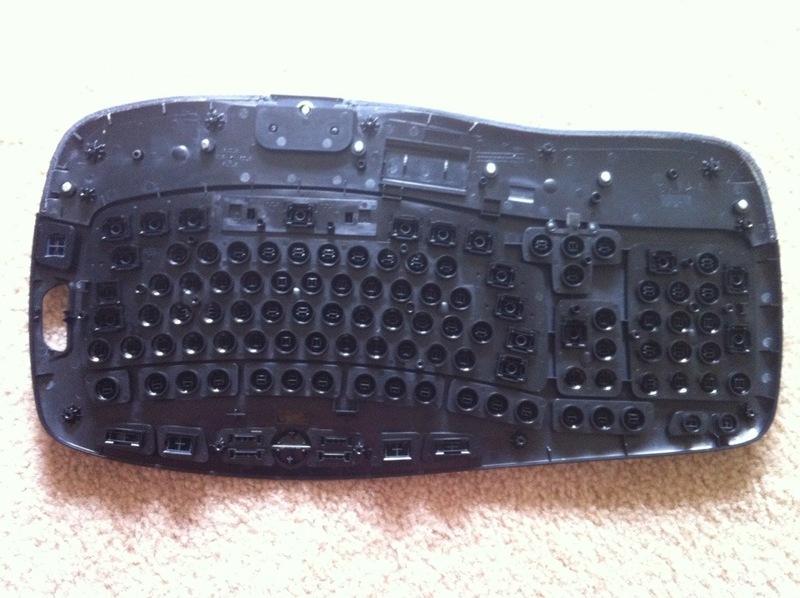 After letting it dry out, I reassembled the keyboard and turned it back on. First thing I noticed, other than that it looked very clean, was that it was much quieter. Also the keys don’t seem to stick as much. Every once in awhile a key still sticks so I may have to try another cleaning cycle or perhaps some sort of grease, however it’s nowhere as bad as it used to be. Print article This entry was posted by JLR on October 7, 2012 at 3:47 pm, and is filed under Technology. Follow any responses to this post through RSS 2.0. You can leave a response or trackback from your own site. When is 2-Day not 2-Day? When you ship @UPS. Shipments today have extra transit day. @Fedex didn't do this. Might switch going forward. Health-Life-Dental-Insurance.com Health Insurance Agency headed by agents with decades of experience. Vee's Hair Salon and Spa Hair salon and spa in San Antonio, Texas.